COURSE REGISTRATION FEE: $325.00 Includes all training materials, and a Certificate of Completion. 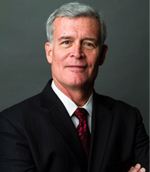 Stan B. Walters is President of Stan B. Walters & Associates, Inc. He is the author of Principles of Kinesic Interview & Interrogation®, published by CRC Press 1996. The textbook is used for interview and interrogation by several police academies and universities in the U.S. Stan has spent more than 22 years on the research and study of interview and interrogation. He is currently acting as the Subject Matter Expert on interview and interrogation to the Johns Hopkins University. He developed the Practical Kinesic Interview & Interrogation® training series and his extensive research work, training programs and writings have received critical recognition from law enforcement, loss prevention, corrections, and fire service professionals. His work has also received praise from many social and behavioral science professionals throughout the U.S.
Stan has taught for private, local, state and federal law enforcement agencies in over 45 states as well as the U.S. Department of Defense, U.S. Probation, the Federal Law Enforcement Training Centers, DEA, ATF, the Texas Rangers, U.S. Attorney’s Offices, and U.S. Immigration Service. He has also taught for numerous other educational, professional and criminal justice training organizations and academies throughout the U.S. Course recognized by the American Polygraph Association for continuing education credit. The Kinesic Roadside Interview Technique® is a multi-phase behavioral analysis system that is used to improve the communications process to conduct more effective and efficient roadside interviews. This two (2) day course will provide the street/road patrol and drug interdiction officer with the knowledge and understanding from both a verbal/non-verbal and emotional response of subjects of a vehicle stop. This understanding of the subject will assist the officer conducting the roadside interview in detecting deceptive signals and stress response answers. Control Of The Interview: The area or distance from which the roadside interview is conducted will solicit various verbal and behavior responses. Verbal Cues: Identification of symptoms of speech quality and content which gives the officer the clues as to whether statements of the subject(s) are truthful or deceptive when a relevant questioned is asked. Speech Rate: When a subject's rate of speech speeds up in an area, it indicates that area has already been prepared or rehearsed as a response. The implication is that the subject has anticipated an inquiry into this area and has already prepared the deceptive response. Angered Roadside Subject: This subject may verbally attack you and what you stand for or make threatening statements. The deceptive subject will try to attempt to block your interview in this manner. Bargaining Statements: Complaining about themselves is a form of bargaining. "Soft Words" compliance, "Religious Statements" I swear, "Name Dropping" people the subjects know. 1. DEA officials have estimated that 40 percent of all drug arrests in this country start with a traffic stop. 2. Our roads and highways are encumbered with drivers of suspended or revoked license, carrying burglary tools, firearms connected with an armed robbery. 3. Detection of drunk/drug and impaired drivers. 4. Transportation of illegal contraband drugs/weapons, etc. 5. Detect deception during felony car stops, stolen vehicles, drivers license, etc. 6. The Oklahoma Bomber was apprehended during a roadside/field interview. 7. Field interviews are conducted by street/road patrol officers as first responders i.e. domestic disputes, disturbance calls. 8. Accident interviews by first responder. 9. More illegal guns are taken off the streets as a result of traffic stops than by any other tactic. 10.Increasingly, law enforcement agencies are discovering the importance of the street/road patrol officers ability to detect deception with effective interview skills as a valuable tool in the fight against crime. Click Here to See Our FAQ!